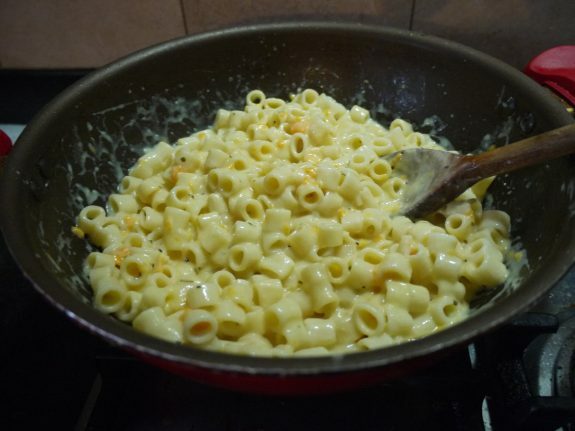 Pasta is the universal food of kids all over and Mac and cheese is the king of them all. 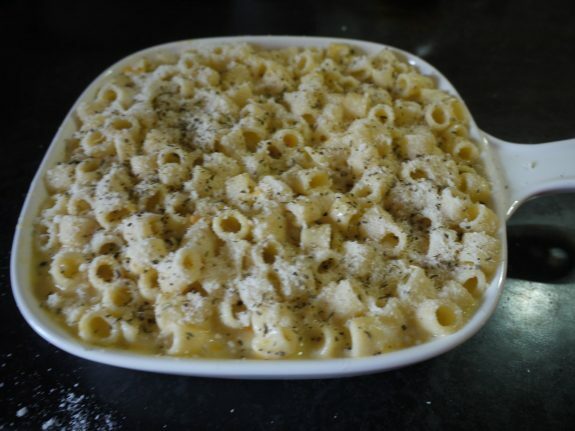 Not just kids but the vast majority of adults drool over it as well … such is the enchantment of this pasta. Recently I made this lovely pasta – not just because my son demanded it, but also because he insisted on cooking it. So before I get you drooling any more, let’s get cooking! Boil the pasta for the required time with some salt and keep aside in the saucepan. Do not throw away the water. 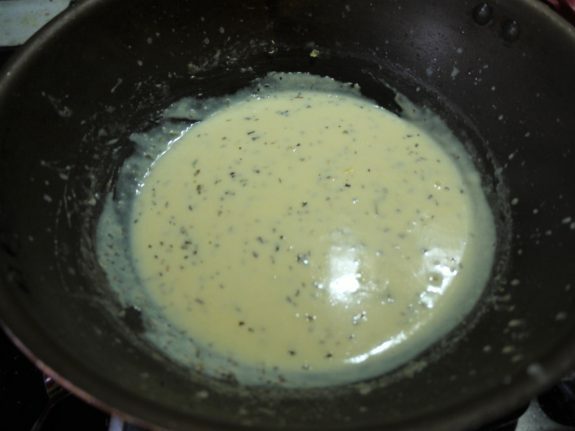 In another saucepan, melt the butter. Add the grated garlic and mustard and cook for 1 minute, whilst rapidly stirring. Do take care not to burn the garlic and mustard, otherwise the sauce will taste very bitter. I like to use a whisk rather than a ladle for this process, because.. well, because it just works better for me. Now, stir in the flour. Keep whisking and let cook for 1 min more. Then colour will change slightly. Now slowly add in the milk whilst whisking constantly. Do ensure that you have no lumps in the sauce. This is extremely important. Do not walk away from the gas. Simmer for 5 mins.. keep whisking continuously. The sauce will now have thickened. 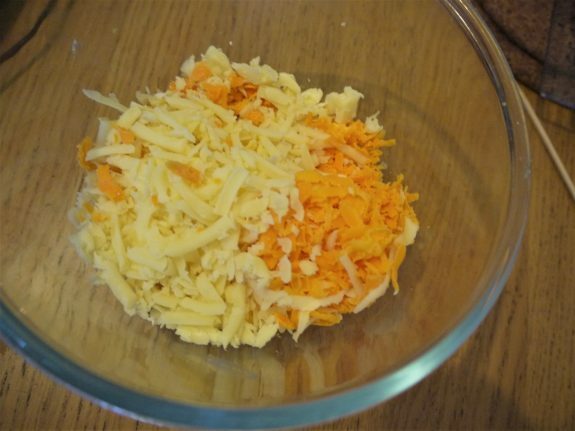 Move the pan away from the heat and add the grated Cheddar and Red Leicester cheese. 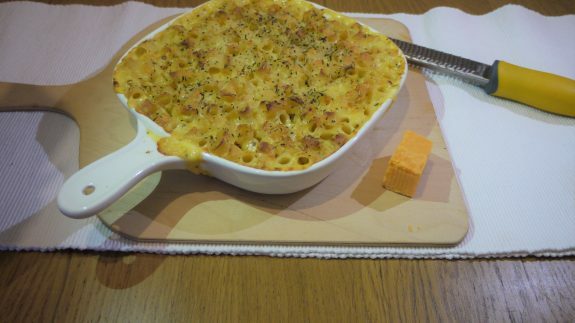 Normally only Cheddar cheese is added in this recipe, but as you probably know, I have a weakness for the sweet undertones of the Red Leicester, so I try to include it in most of my baking. You could always just use Cheddar cheese. 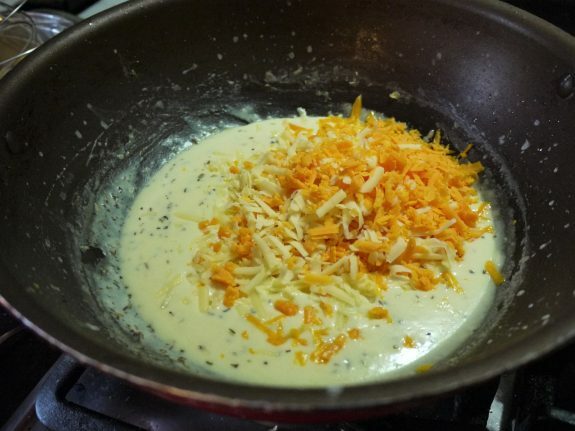 Mix in the cheese well. Add in half of the parmesan cheese and mix well. Add in the pasta. Mix well. 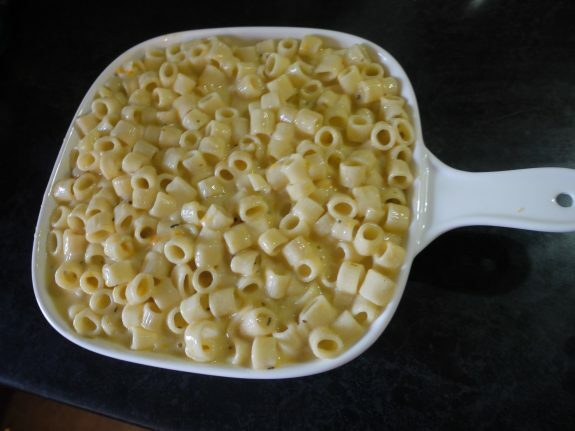 Pour the pasta mixture into a baking dish. Sprinkle the rest of the parmesan cheese on top and the remaining 1/2 tsp of dried herbs. Bake for 20 minutes until nice and bubbling hot and slightly browned on the top. My son could probably eat this every single day of his life, such is his love for Mac and Cheese. 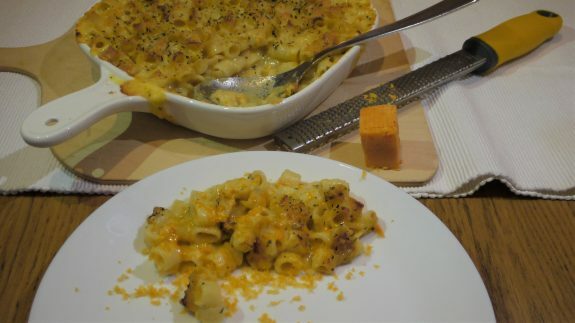 Recipe Type: Bakes, Rice & Pasta, Veg Tags: comfortfood, kidscooking, pasta Ingredients: Cheese, Pasta If you like this recipe, please share, or leave a comment below. It only takes a click!